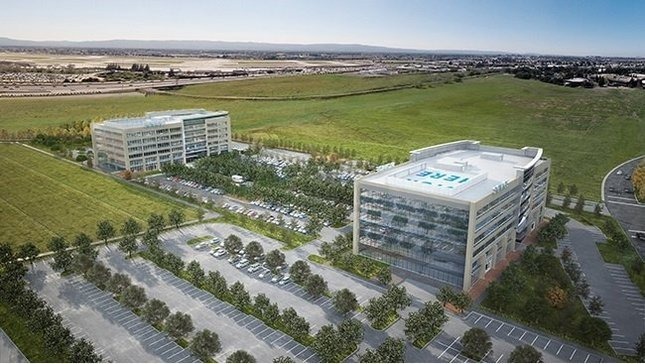 Apple has signed a lease for a building in north San Jose, Calif. measuring 202,000 square feet, marking yet another expansion in that part of the city for reasons unknown, a local report said on Wednesday. The space is located at 2509 Orchard Parkway and owned by a realty firm called Steelwave, which may build two more office buildings on adjacent land, sources told the San Jose Mercury News. Only the first building is currently under construction. Together, the three facilities could host an estimated 3,000 workers. Apple also has several other stretches of property around Orchard Parkway and Component Drive, however, and could theoretically build the combined land up to support 20,000 people. It's not clear what Apple might use the offices for, since the company recently secured a 770,000-square-foot campus in nearby Sunnyvale, itself just a short distance away from Apple's massive Campus 2 project. The company is however getting into the automotive industry, and engaging in a major hiring spree to do so. Indeed, Apple is already believed to have a secret automotive facility in Sunnyvale, and may need many more people if it intends to engineer a full-fledged electric car on top of products like iPhones and Macs.